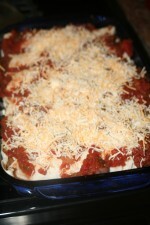 Mix 2 1/2 c of cheese, ricotta, green chilies, egg, (I sometimes add a little spinach, but don't tell John). 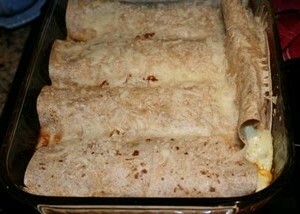 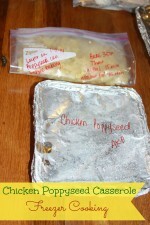 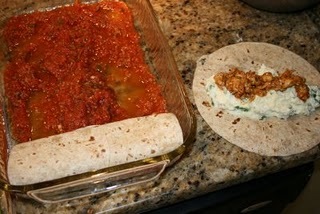 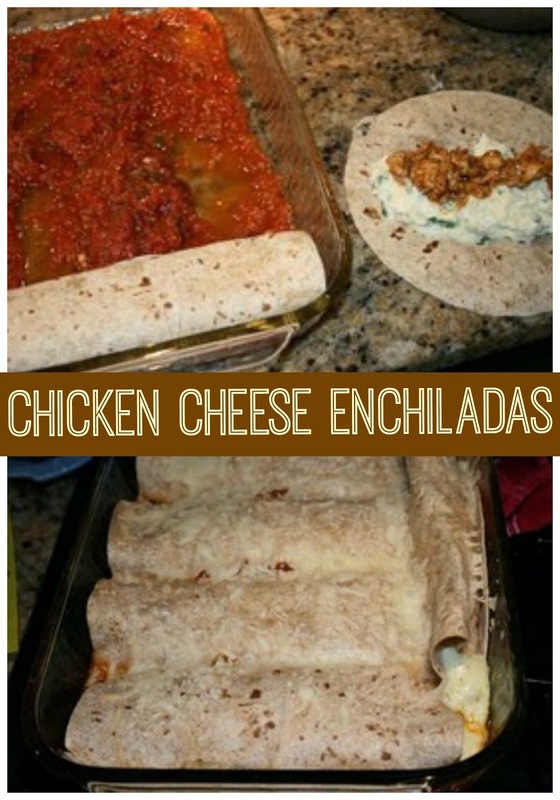 Pour 1/2 jar of salsa in the bottom of a 9x11 baking dish the put a layer of cheese mix and a layer of chicken on tortilla and roll and place in the baking dish on top of salsa. 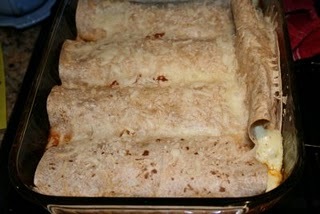 Once all are in pan put the rest of the cheese on the top and bake at 350 degrees for 25 mins.